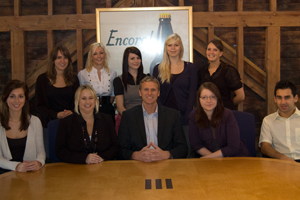 Venues Event Management (VEM) has recruited ten staff following new business wins with clients including Leaseplan UK. The agency’s new starters include Elle Petherick, who is client manager for VEM’s BT account, and Chris Goundrill, appointed client development manager for new business. The eight additional staff are joining the client teams, to support client accounts including Mercedes-Benz and Santander, and the sales department, to focus on lapsed clients and new business. VEM chief executive Anita Lowe said: "It is vitally important to appropriately resource every account and this influx of additional business gives us the opportunity to grow our company further. We have intensive three-month training plans and development programmes for new starters, which ensures that when they hit the ground they are well equipped to deliver excellent customer service."